A fundamental difference exists between the two philosophies. When managing resources, the resource's "best use" is the foundation of every decision made. Whereas when the resource is negatively viewed as a waste, the waste management strategy. Conversely when resources are managed, the focus is on use not disposal. The Bluewater Recycling Association also believes that resource management benefits from a centralized global approach as opposed to fragmented isolated solutions. For example, that is one of the reasons why the Association has developed programs such as its co-collection program where "waste" and recyclables are collected simultaneously with one vehicle. 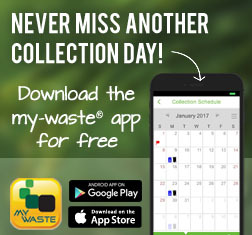 This standardized one stop collection allows for the development of innovative approaches to resource management which led to diversion levels exceeding 80% and average households storing less than 200 kg of "waste" per year in places typically referred to as landfills. 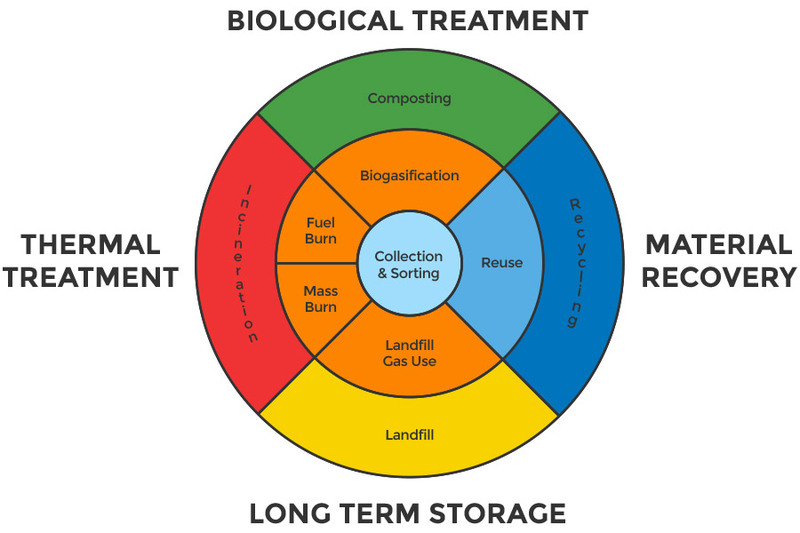 The figure below outlines our vision of the integrated resource management system where the collection and processing functions are the focal point of the decision making process to best determine the use of a resource. Four main treatment methods can be utilized to handle resources. They are material recovery, biological treatment, thermal treatment, and long term storage. Long term storage being the last resort when no other alternatives are available or, environmentally and/or economically feasible.